With the growth of big data and the increasing importance of data science for all businesses in every industry, it’s increasingly important to debunk some of the myths and misapprehensions that have grown up around the topic. Myth: Data science is the same thing as data analytics. Truth: Data science shares some similarities with data analytics, or business analytics if you prefer that term, but they’re actually very different. Data science goes much deeper than analytics. Myth: You can achieve the same results as a data scientist using new software. Truth: While it’s true that there are software packages available that will help, you can’t be a complete novice to data science and get the best results from them. You must at least be a statistician or scientist. Myth: Data science is just a fad – it will fade away with time and businesses can go back to just using analytics. Truth: Sorry, this is not true. Data science is here to stay. Big data is not going to go away. In fact, it is only going to grow. So, not only will the need for data science not vanish, it will become more and more pressing for businesses that haven’t invested in the right solutions. Myth: Data scientists are just business intelligence professionals who’ve adopted a new name. Truth: While data science and business intelligence have similarities, they’re not the same, nor are business intelligence professionals and data scientists the same. Myth: All the “magic” involved with data science is done by software. Truth: While software is a crucial tool, it’s only that – a tool. The real “magic” comes from the data scientists working with the information and operating the software. There’s a great deal that must be done independently of software to even get started. Myth: Data science has nothing to do with business. Truth: Data science has everything to do with business, and enables the accurate prediction of future outcomes based on accurate information extrapolated from big data. Myth: Data science only applies to business operations decisions and nothing else. Truth: Data science applies to pretty much all aspects of a business, including digital marketing. It’s a powerful tool that can offer enhanced ROI from your SEO and other online marketing efforts. 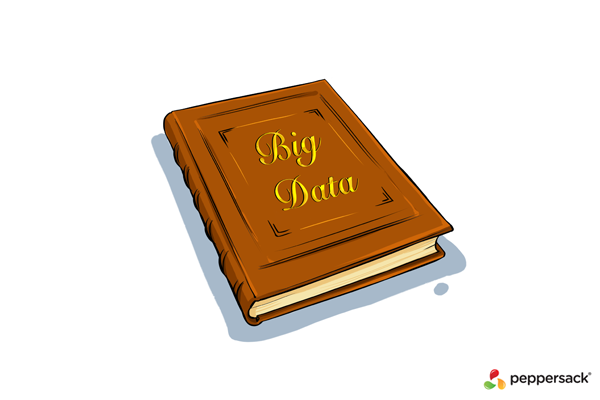 Myth: Data science is only related to big data. Truth: While the big data/data science correlation is probably the most visible to business owners, there are many other applications, including modelling transactional data, dealing with information stored in Oracle databases and a great deal more. It’s not all about Hadoop or Amazon. Myth: Data science is purely about the data. Truth: Data science can only be worthwhile if the data scientist actually cares about the business process underlying the data in question. So, no, it’s not just about the data and is very much about growing the business in question. There you have them – some of the most widespread myths about data science and the realities of the situation.